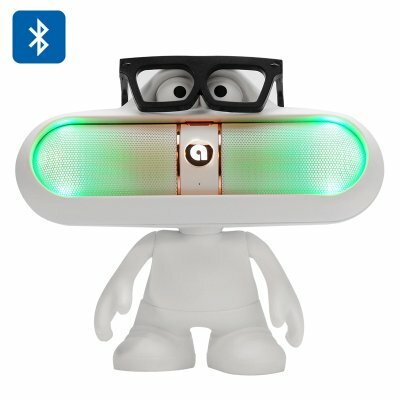 Successfully Added Dude Doll Bluetooth Speaker + LED Light - 2x 3W Speakers, Bluetooth 2.1, LED Light, 2000mAh, Hands Sree, Micro SD Card (White) to your Shopping Cart. This awesome Bluetooth speaker Dude Doll is a colorful way to bring music to life. .
With twin 3W speakers the Dude Doll has great audio quality and a unique style that lets it strike different poses so this Bluetooth speaker is sure to grab people’s attention. The speaker itself can be removed from the Dude Doll for when you need greater portability and at under 250 grams it’s easy to slip in your pocket. The speaker comes with built in LED lights that will flash and change colors as it plays your music making it an attractive great center piece that will add to the atmosphere of your party. Bluetooth 2.1 connectivity provides a strong wireless bond between the speaker and your music source such as tablet, laptop or Smartphone that removes the restrictions of wires and means there will be no tangled cables to deal with. When paired with your mobile phone the Bluetooth speaker provides hands free communications, this means you won’t miss any important calls and saves you getting your phone out. There is a micro SD card slot which can be used to add 32GB of audio fun to this mini speaker, alternatively you can use the Aux ot USB ports to connected to your music source or tune into your favorite FM radio stations. With a 2000mAh built in battery the speaker will last up to 18 hours in standby and can play music for around 3 hours continuously. 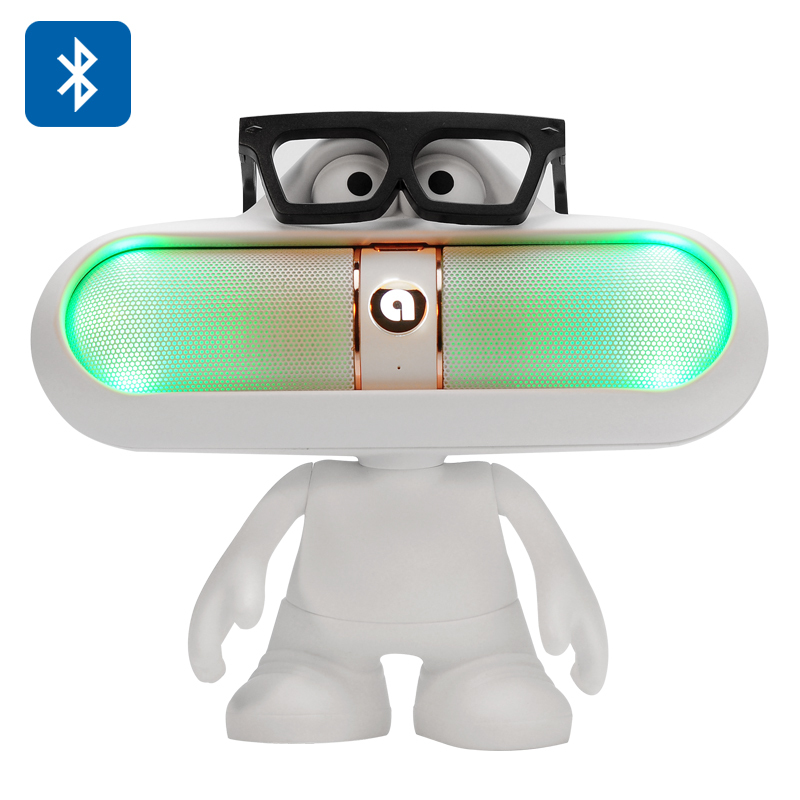 The Dude Doll Bluetooth Speaker with colorful LEDs comes with a 12 months warranty. Brought to you by the leader in electronic devices as well as wholesale Bluetooth speakers.